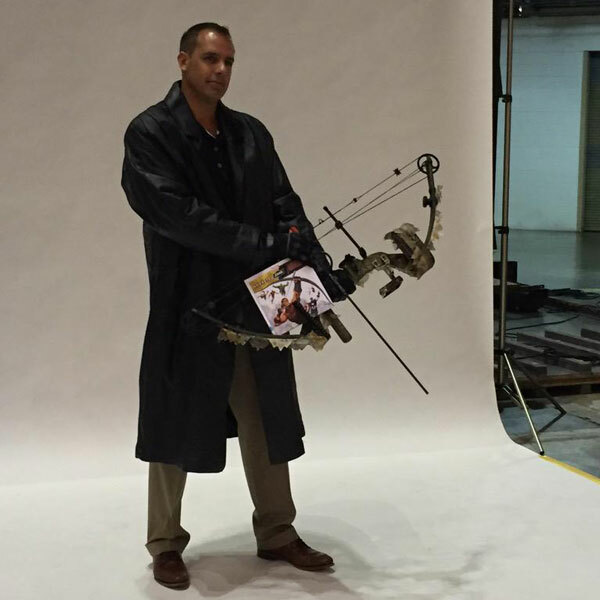 Why is Pacer’s coach Frank Vogel holding a compound bow? For good reason: Vogel is in costume holding a weapon for a photoshoot with the team’s Call-A-Pacer program where kids can call in to hear Pacers players read books. This year, those books are superhero-themed.